Forty years after it was first introduced, Sony is finally putting Betamax out of its misery. Forty years after it was first introduced, and roughly 30 after it became irrelevant, Sony is finally putting Betamax out of its misery. The company announced Tuesday that it will stop making Betamax video tapes in March, 2016. "This will make the final shipment of all our memory media for Betamax," Sony said in a Japanese-language statement. 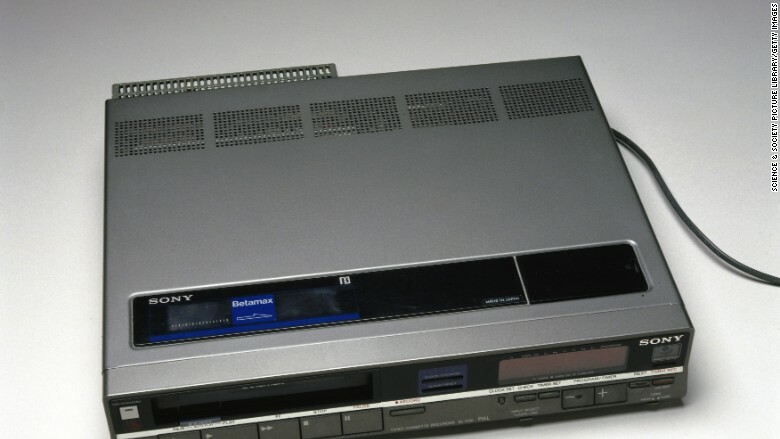 The company made its last Betamax video recorder in 2002. Betamax was cutting edge in 1975 -- long before streaming, Blu-ray or DVD came onto the scene. The ancient technology is best known for its role in a legendary format war that pitted JVC against Sony in the late 1970s and early 1980s. While many users considered Betamax to be the superior technology, consumers would eventually adopt JVC's VHS format en masse. Both formats allowed people to record directly from a television signal, a revolutionary feature that spawned a series of piracy lawsuits and eventually a Supreme Court case. As recently as 2014, Sony CEO Kazuo Hirai had nice things to say about the format. Speaking at a technology conference, he said the features and expectations it established in 1975 live on today. "Watch whatever, whenever," he said. "This idea still resonates and defines everything people desire and expect even today."